Made of beautiful, chip-resistant, stain-resistant porcelain, which retains heat so your egg stays warm all through the meal. Simply place in the dishwasher for easy clean-up. Enjoy the delicious taste of nutrient-packed eggs with utmost convenience. Please allow little color and dimension difference due to different camera or light environment and manual measurement.? 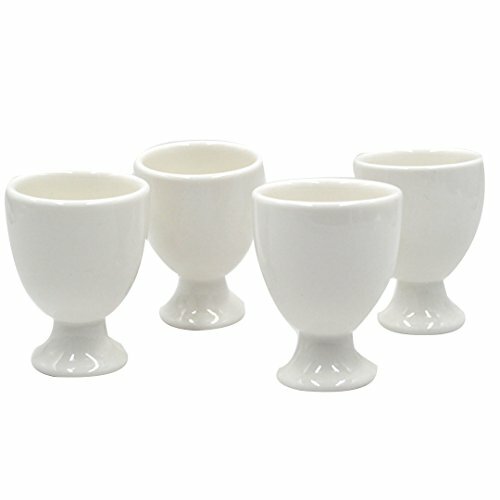 Holds eggs upright so you can snip off tops and enjoy; work well for the entire process of placing, cracking & removimng the end of the egg, for dipping toast slices & sausage links into the yolk and for scooping out the egg shell. If you have any questions about this product by Felice, contact us by completing and submitting the form below. If you are looking for a specif part number, please include it with your message.